ChatPic is a new jailbreak tweak that puts a little photo of your contact beside each incoming chat bubble, a simple mod that gives the Messaging app a little more personality. It takes the photo stored in the Contacts application, and is compatible with Facebook photo sync, which is a utility in the Facebook app itself that downloads your friends photos and matches them to the contacts on your iPhone. The app will not add any icon to the home screen, but you can configure its options from the iPhone Settings app. At present ChatPic is not compatible with third party Cydia SMS apps like BiteSMS or iRealSMS. 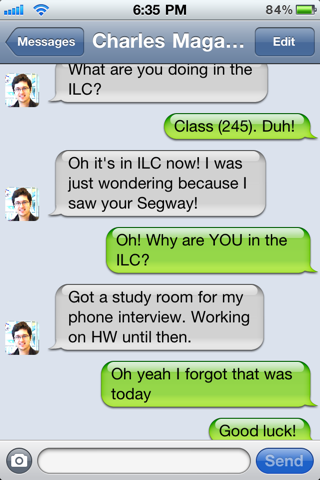 For those of you who use those apps frequently its unlikely that you will be using ChatPic anyway. You will, of course, need to have a jailbroken iPhone or iPod touch to install it. Follow our step by step guide posted here to jailbreak your iPhone, iPad or iPod touch with Redsn0w on iOS 4.2.1, or with Limera1n on iOS 4.1 if you haven’t already. 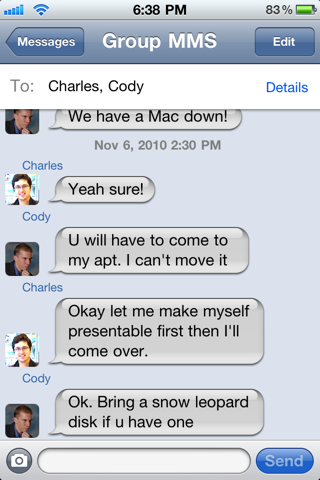 ChatPic is available from Cydia under BigBoss repository for $0.99. Make sure you check out our iPhone Apps Gallery and iPad Apps Gallery to explore more apps for your iPhone and iPad.